Posted: Tuesday 7th May 2013 in Paid Media, Thought Leadership. 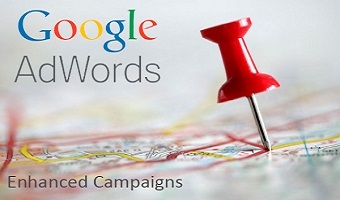 Since the release of Google Adwords Enhanced Campaigns, we have been looking at the impact of the changes this will bring, how best to manage and update our accounts and what our best practice and top tips would be for all of our clients here at Summit. We have been working with Enhanced Campaigns for over two months now and have been following our own 3 Top Tips as mentioned in our previous blog. We have been busy testing and gathering learnings to fully understand the impact of the changes including reporting, which has now allowed us to begin the phased rollout across all of our clients. Due to our current focus on getting the basics of Enhanced Campaigns right we are yet to test geo-location bidding, enhanced Sitelinks and additional enhanced extras. Fear not, they are in the pipeline and we will begin our testing soon in order to maximise our clients’ performance wherever possible. A recent update has informed us that the specific date for full automatic rollout of Enhanced Campaigns is the 22nd July 2013. We now have an exact date which enables us to develop a concise rollout plan enabling us to work to best practice and launch at least four to six weeks prior to ‘EC Day’. This announcement also means that we now have more time to ensure we are setting best practice rules, maximising on opportunity and are able to report fully across all devices before rolling out onto more clients. This extra time will also mean that we are able to mitigate against risk and significantly reduce set up, reporting and technology development time. Summit have actively been feeding back to Google that campaign level bid adjustments would not give our retail clients the flexibility we need to maintain and grow the mobile search activity at a viable ROI. A recent announcement by Google however has revealed that by mid-May there will be a roll out which will enable mobile bid adjustment to take place at ad group level. This will allow us to optimise at a more granular level, although still not as granular as keyword, which is our current best practice method. This change will also give us more flexibility and control over mobile bids for enhanced accounts. Changing to ad group level mobile bid adjustments will mean that we will need to review our optimisation process documentation and best practice guidelines, however it is certainly a positive change as clients will regain some control which they would have previously lost with the new enhanced structure. In light of the enhanced campaign features, Google has released an upgrade centre within the interface that will merge campaigns for desktop and mobile. This will be rolled out across accounts by Google in the next few weeks. For accounts where our clients currently have different desktop, tablet and mobile campaigns within one account this new tool should help speed up the process of merging campaigns back to targeting all devices. In the same vein, Google is also giving us more insight into the ‘new enhanced landscape’ providing traffic estimates as an example. On the other hand however, the new upgrade centre will only help those clients who do not currently have their accounts split by device, this therefore causes a few problems for a number of Summit’s clients. In order to target customers as closely as possible we have worked hard to split accounts out by device meaning Google’s processes are not transferable across all of Summit’s clients. Due to this reason we have carefully developed our own tools and processes to support successful Enhanced Campaigns roll out. Watch out for our updates on new Enhanced Campaign developments!